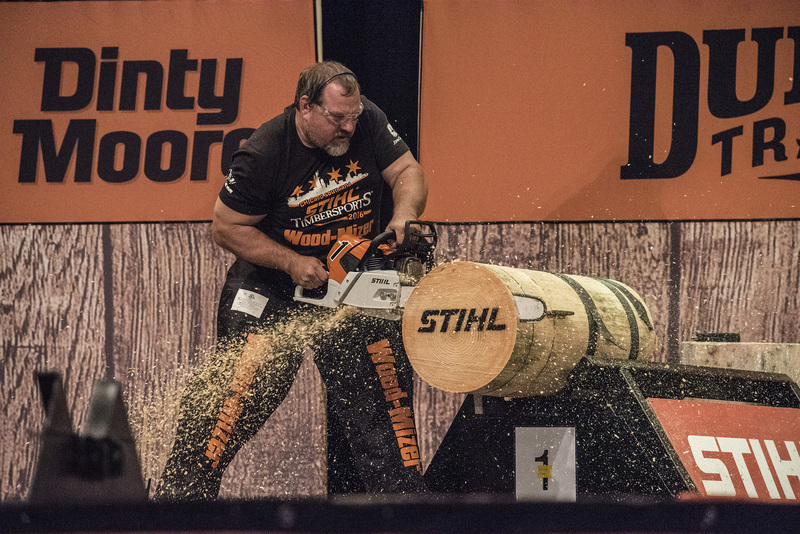 VIRGINIA BEACH, Va. (Feb. 21, 2017) – The STIHL® TIMBERSPORTS® Series will be bringing the top lumberjack athletes in the country to Milwaukee this summer. The Series will host its U.S. Pro and Collegiate Championship at German Fest, at the BMO Harris Pavilion at Henry Maier Festival Park in Milwaukee, from July 28 to 30. 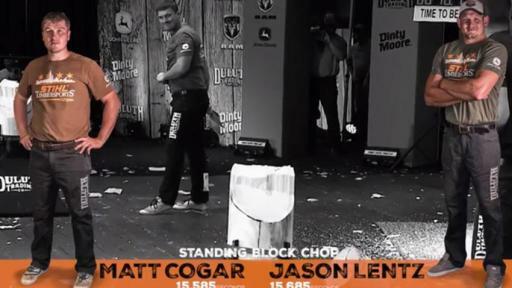 The top 20 professional and eight collegiate athletes will chop and saw their way toward the title of Best Lumberjack in the USA. 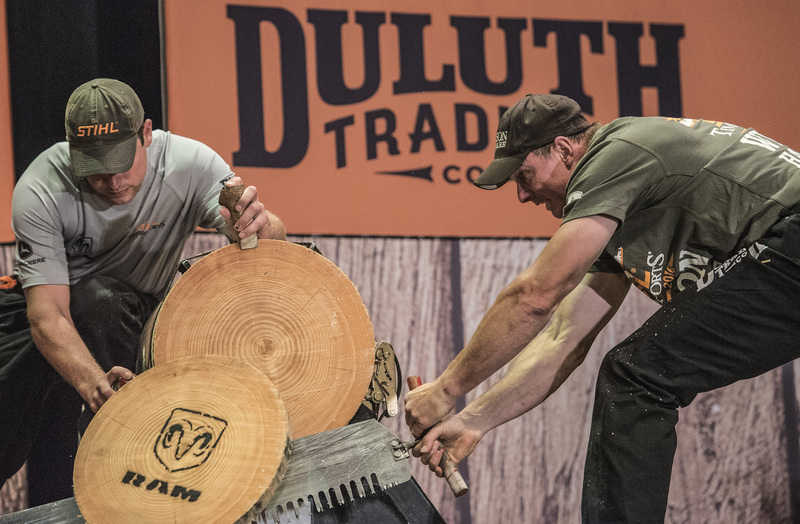 The STIHL® TIMBERSPORTS® Series pits premier lumberjack athletes in thrilling and grueling chopping and sawing competitions to determine the top lumberjack in the country. The Series, which is in its 32nd season, will air on ABC in the fall with re-airs on ESPN, ESPN2 and NBC Sports. After taking a few swings, Matt Cogar knocks it clean off during the springboard. 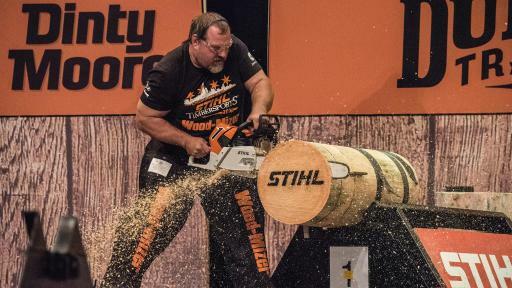 Mike Slingerland rips into the wood during the hot saw event. Dave Jewett finishes strong in the single buck with the assist of Jason Lentz. New to the 2017 season, the Series is also proud to announce the launch of its first U.S. Women’s Division. The inaugural Women’s Division Championship will take place from June 16 to 18 as part of the Men’s Professional Northeast Qualifier in Cherry Valley, N.Y. 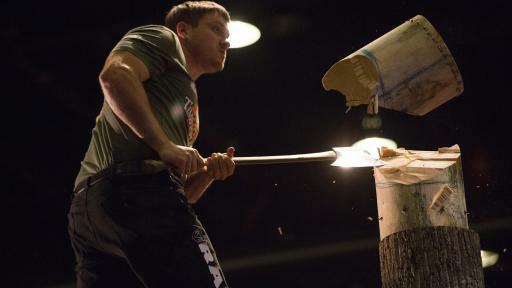 The athletes will compete in the underhand chop, stock saw and single buck disciplines to determine the top overall lumberjill. “We’ve had several talented female competitors express interest in an official division, so it made perfect sense for us to launch a Women’s Division this year,” said Sorgen. Also new this year, the Series has developed fun and exciting iMessage stickers. The stickers feature top athletes, disciplines, and other elements of the sport. 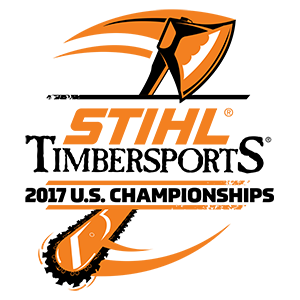 The stickers can be purchased at the Apple App Store at https://itunes.apple.com/us/app/stihl-timbersports-2017-stickers/id1202417996?mt=8. 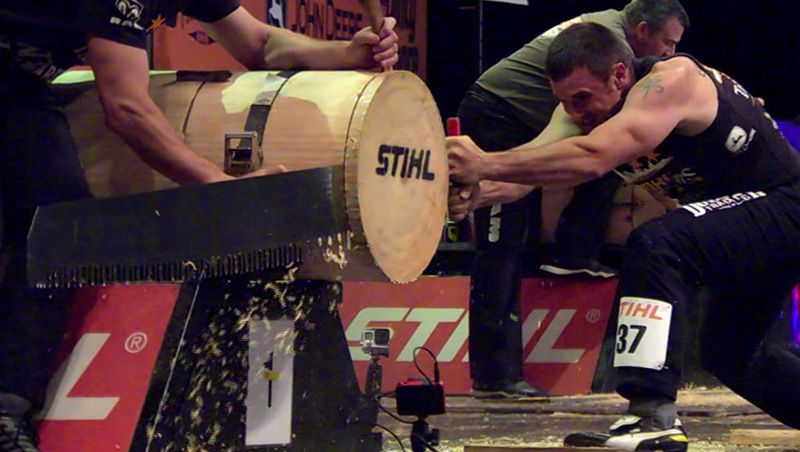 Since 1985, the STIHL® TIMBERSPORTS® Series has experienced exponential growth. 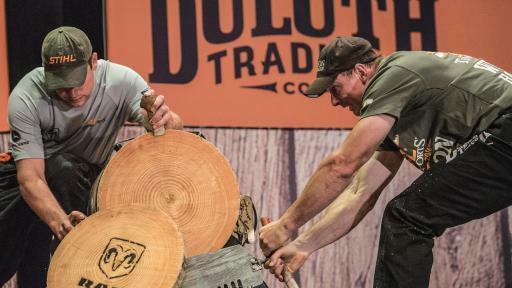 What started as a small, passionate, niche sport for professional lumberjacks has grown into a sport with global popularity, millions of fans, and tremendous exposure reach via broadcast and digital viewing. Airing on several national networks, and garnering tremendous engagement socially, the sport has broken into the mainstream. 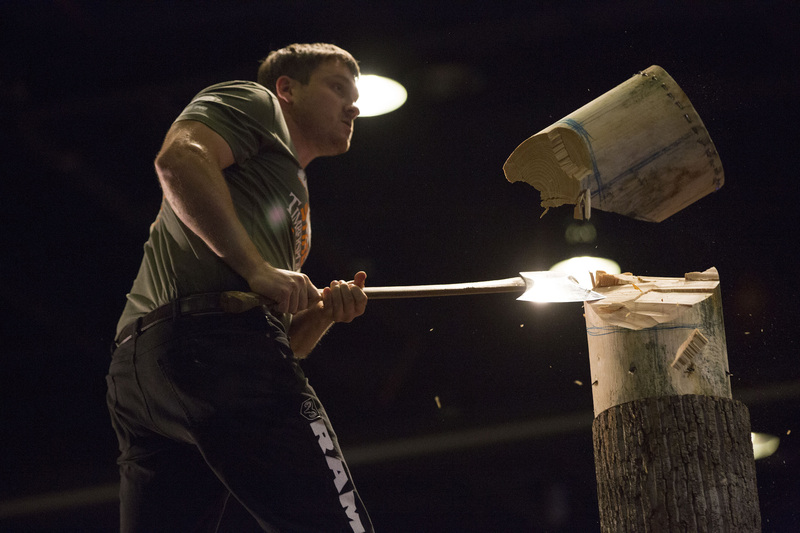 For the 2017 season, professional athletes hailing from all over the country will compete in six lumberjack disciplines: the hot saw, single buck, springboard chop, standing block chop, stock saw and underhand chop. Professional athletes will compete in five qualifiers, with the top 20 athletes advancing to the U.S. Championship. Collegiate athletes will compete in five qualifiers, with the winner of each advancing to the Collegiate Championship (along with three wild card selections). For the full season schedule, visit STIHLUSA.com/STIHL-TIMBERSPORTS/Schedules/. Ram Trucks is the Official Presenting Sponsor and the Official Truck of the Series. Additional 2017 official sponsors include The Duluth Trading Company (the Official Workwear of the Series), John Deere and Dinty Moore. Fans can follow the Series through Facebook, Twitter, Instagram and YouTube. Tickets for German Fest are $9 using the promo code STIHL 2017 and will also get attendees into the Championship. Fans can purchase tickets by going to http://germanfest.com/get-tickets/.